In honor of love’s favorite holiday, we are going full on red this week. 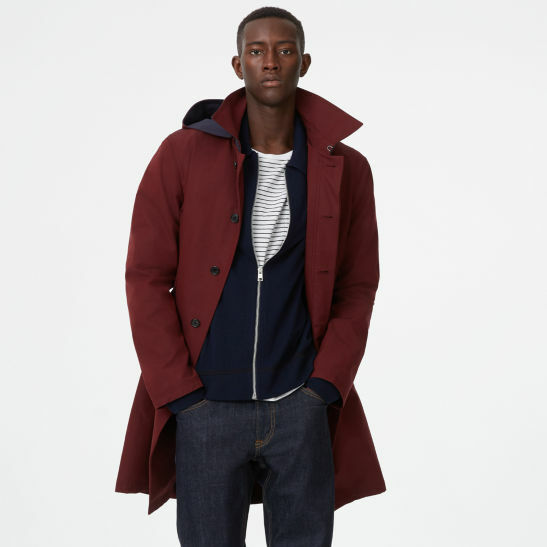 To kick it off, we give you the Mac Coat from Club Monaco in a maroon-ish Mulberry color. The Mac coat is a mid-weight top coat perfect for Spring, especially if your Spring temps range from the upper 40’s to the mid 60’s with a 50% chance of rain seemingly everyday. Dress up your streetwear or your work wear with a flashy coat that is appropriate for the office and the bar.